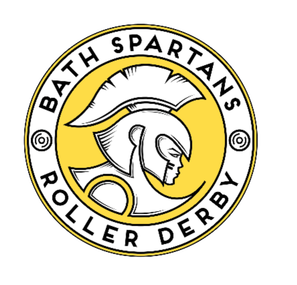 A closed door friendly against our favourite plant powered roller derby challenge team! After promotion in 2015 and a steep learning curve against tough opponents, our A team remains in Tier 3 this Champs season. Our Spartans are currently busy setting up local friendlies as they work on adjusting and improving tactics ahead of competitive play kicking off. The Home Girls are our non Travel Team skaters either working towards passing Minimum Skills, taking a break from competitive skating, or recovering from injury. 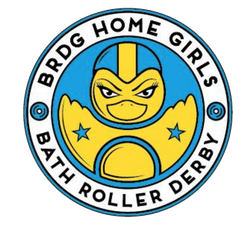 As such, they won't be playing in any public bouts, but having recently been joined by a new generation of BRDG rookies, as our Fresh Meat 2016 intake graduated in late January, we'll be booking in plenty of entry and B team level friendlies, as we start to get the right numbers through minimum skills. Interested in a B team / rookie level closed door friendly? Drop us a line!